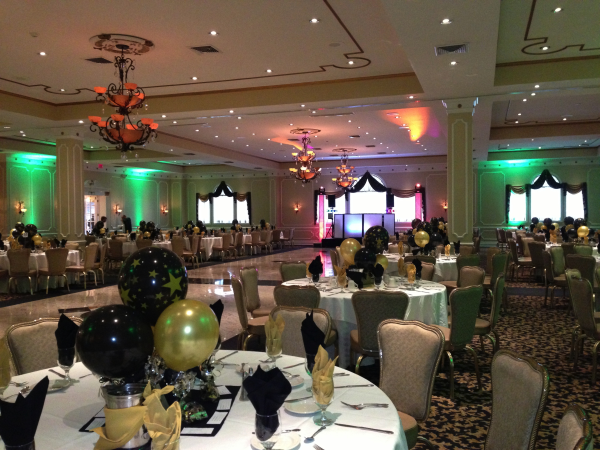 We are happy to see you are doing due diligence to throw your grad an unforgettable party. They deserve it! But we also know such achievements take the support of family and friends, and we want to make sure they enjoy an incredible experience as well. From choosing your venue to orchestrating activities, planning for your diverse guest list is an exciting challenge. With you and all your guests in mind, our experienced professionals compiled their best tips for planning a memorable and all-inclusive graduation party. Out-of-town guests need to book airline tickets, make hotel reservations and save the date, so be sure to give them a heads up well in advance. Even locals may need to adjust their schedules to attend multiple graduation parties. And then there are the grads—will your grad attend friends’ parties? The bottom line is that choosing a date early ensures that more people are able to celebrate together. Bonus: Once you’ve chosen your date, you can ask a local hotel to block out a certain number of rooms for your guests and extend a discount to them. Most are happy to do so, assuming you give them enough notice. Top graduation party venues book up fast in the tri-state area, so do yourself a favor and reserve your date early. Two of our favorite venues are Jacques Reception Center and Jackson Crossing. 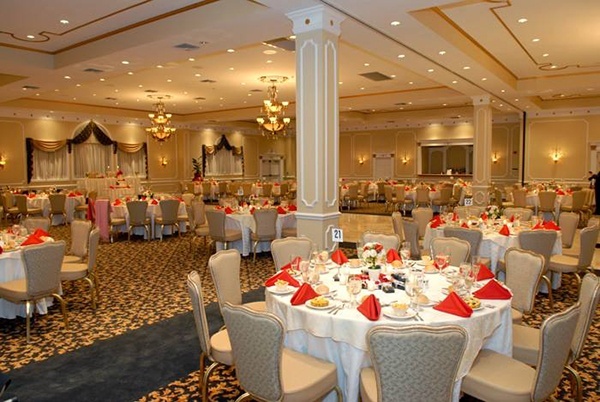 To choose between these two perfect locations, consider your event needs. Will a state-of-the-art sound and audio/visual system be advantageous? Or maybe you want the scenery to put on a show? The imported Italian crystal chandeliers, stone fireplace and baby grand piano at the Reception Center set quite the scene. If you choose to forego a venue package, then think about what rentals you will need to get your home ready for the occasion. Our best tips for how to plan a graduation party at home are to rent more tables and chairs than you think you need and make an inclement weather plan. Your catering company may have advice on this because it is something they are always prepared to coordinate at their partner venues. Bonus: If you reserve one of the premier venues, you now have their experts to help you with the rest of your graduation party planning checklist. Companies that print custom graduation cards are busy this time of the year, so it is wise to place your order a few months before your date. While you are waiting to receive them, take some time to review your guest list. For example, talk to your grad about the people he or she would like to invite, as you may not have thought of some of the student’s friends. Companies are likely to take 4–6 weeks to print and deliver your cards, and you’ll want them to go out about 3–4 weeks in advance, so place your order 3 months out. This is also the perfect time to email save the date cards. Bonus: Ask your card company if they have discounts for thank you cards ordered at the same time. Your grad will want to send these out to thank guests for their generous presents. Remember they may receive gifts from people who are not able to attend, so order extra to account for this. With so many people opting for school colors as their graduation party themes, it is no wonder local stores run out of these decorations fast. So be sure to snag some school-colored banners and other decorations early. But don’t assume this has to serve as your graduation party theme. Now is a great time to encourage your grad to continue pursuing his passions by using them as inspiration for a fun theme. Bonus: Different graduation party themes will bring new graduation party activities to mind—another thing that will set your celebration apart from the rest. For example, a sports theme may call for a mini putting green. Dancing: Give guests the granite dance floors at the Middleton Reception Center and upbeat music handled by an experienced DJ, and no further instruction is needed—they will all know how to have a great time. Opening presents: Set aside a time when all guests will be present for the grad to open presents and show thanks. And remember to take note of who gave what presents so they can send them a thank you card at a later date. Guest notes: Set up a guest book table for people to sign their names and leave a message for the grad. In the same area, have cards that kids can color and sign for the grad. Two different ways of sending the same message—we are proud of you and wish you well. Custom thank you bags: Let guests decorate canvas bags with school colors and fill them with fresh local fruit to take home. 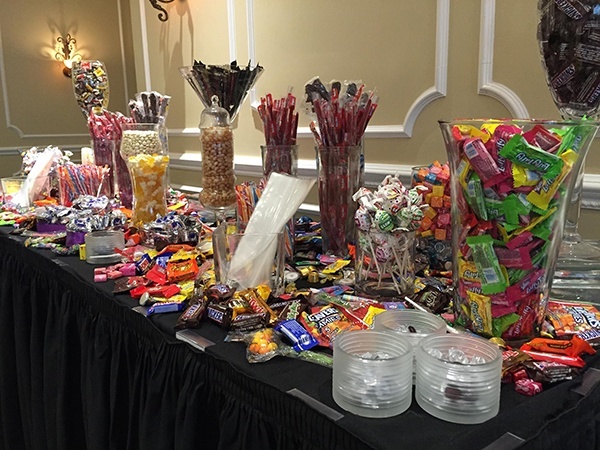 Bonus: In addition to a fruit stand, set up a candy cart for guests to enjoy sweets at the party or add to their thank you bags. This is your chance to send your grad off with the warmest memories. Our graduation party food checklist is filled with comforting yet upscale items. With over 70 specialty items to choose from on our menus, you are likely to order quite an impressive array of food. 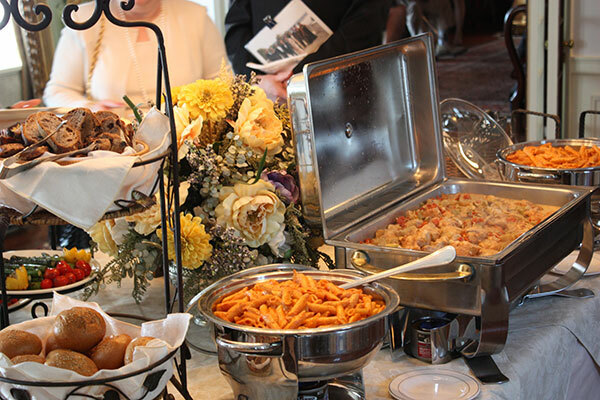 A buffet service style lets guests survey their options and pick and choose their favorites. Bonus: For dessert, design a completely custom cake with your choice of frosting, filling and inscription. This is sure to impress guests, but go ahead and surprise them with something they might not expect like a sundae bar or artistic display of mini Italian pastries. Our family is always proud to help young adults celebrate success and look forward to future endeavors. With over 60 years of experience in the tri-state area, we have enabled many families to enjoy these special moments to their full extent. We want to personally congratulate your grad and thank guests for their support. To give us the honor of treating your guests to incredible food and service, contact us online or give us a call at 866.522.7873.